Rama fell at the feet of Janaka and rising, sat by his side. Janaka was overwhelmed by the joy that welled within him. He stroked Rama's head and accosted him softly and sweetly. Rama too replied expressing similar sentiments in felicitous language. He assigned helpers and aides to look after the comforts of Janaka and his entourage. He directed Bharatha to be at the service of the Emperor. Meanwhile, Vasishta arrived in the presence of Rama, accompanied by his disciples, ten thousand in number. He said, "Ramachandra! Listen to my words: The Vedas, Sastras, the Puranas all of them without exception proclaim that a Yaga, performed without the duly wedded wife by the side of the celebrant, will be barren of results. Great sages also declare the same. Therefore, arrange to bring Janaki back. She is very necessary during the Yaga." Rama was surprised at these words spoken by the Chief among Sages. He kept silent, without explaining the truth or untruth of that belief. He said, "Chief among Sages! You have to carry out my wish without causing breach of my vow, and without bringing down the reputation of my dynasty. 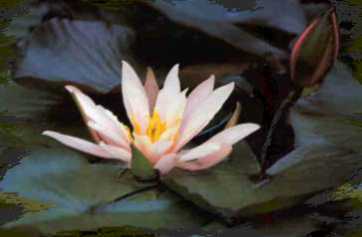 If Janaki is brought back, the reputation is bound to suffer. And, I shall not marry to have a wife for the Yaga." At this, Vasishta consulted many famed Sages for a solution. They all held fast to the rule that Janaki must be brought; they said, it was an unavoidable pre-requisite. But, Rama, who was Himself the master of all codes of morality, the embodiment of all the forms of God, and the essence of all the Sastras, thought over it for a while and announced that a golden idol set with gems be made of Sita and kept in place of Sita. He said that all the Sastras support this view and that there can be no objection to this procedure on any score. The ascetics, sages and scholars versed in all fields of knowledge could not contradict this opinion. They were all surprised at the validity of the solution offered. They admired his omniscience and acknowledged that He was Himself the core of all codes. The golden Sita was got ready in one single day; it was made more charming and realistic through jewels and garments. Everyone who saw it mistook it for the live Sita; it was so realistic. If Sita had seen it, she too would have been struck with wonder. Many believed that Sita had returned, when they saw the idol. They praised the makers with a thousand tongues. Rama sat on the lion throne over a tiger skin spread over it. The golden Sita was placed by his side, where the wife had to take her position. The assembly was led to believe that Sita herself was there. All present prostrated in gratitude and joy. Vasishta addressed the courtiers and asked them to extend hospitality to the assembled guests according to the rules in practice. "Give everyone what they wish for and make everyone happy and contented". They seated them in proper lines and in appropriate places, with the help of Bharatha who supervised the arrangements. Each one of them congratulated himself on the grandeur of the reception accorded to him and praised the organizers for the care and consideration they showed. The Yaga Hall was guarded on the outside by 500 warriors and inside the Hall by 500 masters of the Vedas. The Yaga began on the second day of the bright half of the Magha month, after Rama had initiated Himself with the necessary rites. Vasishta directed that the Horse, chosen for the Yaga, be brought so that it might be examined by experts, whether it had the auspicious mark prescribed. Lakshmana prostrated before the Guru and hurried to the stables of the palace to seek out the horse and decorate it before leading it into the Hall. A gem-set saddle was placed on its back; it was a horse immaculately white in complexion. The horses of the sun would have felt ashamed to stand before it! When it was fully caparisoned, it became so charming that people thought the God of Love and Beauty had a hand in adorning it. It was an impossible task to describe its splendor. 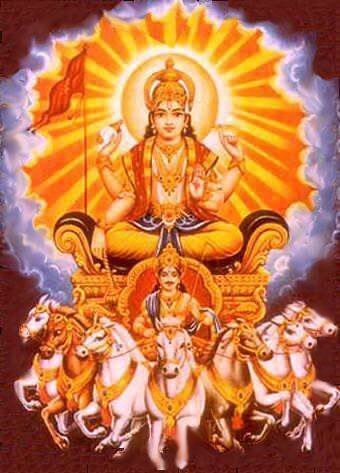 It could be said that the horse gave the impression that the Sungod (Suryanarayanamurthi) [see also: SB, C5:Ch. 21] had turned into a horse, and was prancing proudly; on its forehead was placed a peacock feather with emerald gems shining in it. Like the stars shining in the sky, that feather shone brilliantly with its scintillating gems. Silk cords that shone like lightning flashes were placed round its neck and held by attendants. It was accompanied by 5000 great warriors - heroes of many a battle - fighters of invincible mettle, led by Lakshmana, all on horseback. When the cavalcade entered the Hall, Viswamitra instructed Rama to worship the sacred sacrificial Horse, which was to be sent out on its mission of conquest. He gave away the sixteen articles in charity; he performed the ritual purificatory bath. Then, he tied on its brow the gold plate with the inscriptional message to all rulers of the land. This was the writing it carried: "In the City of Ayodhya, there is a Hero; He is the destroyer of enemies. Even the Lord of Gods trembles at the sight of Him. This horse is his sacrificial animal. The strong may lay hold of it; or, they have to pay him tax and tribute; or if you cannot do either, flee into the jungles". Rama inscribed thus on that gold plate and tied it on the brow of that horse. Meanwhile, Bhargava and other sages came to Rama and related to him the atrocities perpetrated by the demon Lavana. The assembled sages were saddened at the news. Rama called to his presence Satrughna; he gave him an arrow-case full of the most powerful weapons. Then he told him, "Use these weapons with the appropriate manthras on the enemy. Go, achieve victory and return triumphant". Then, he wanted Vibhishana to come to him. He fell at Rama's feet. Rama asked him. "Tell me all about this Lavana". At this, Vibhishana described everything about his power and nature just as he knew. Vibhishana had a step-mother and she had a daughter named Kumbhinasa; she was given in marriage by Ravana to a Danava (member of a demonic clan) named Madhu. Madhu accepted her and in course of time, she gave birth to the demon, Lavana. He underwent severe asceticism and prayed to Lord Siva to bless him with boons. Siva was pleased at this austerities. He gave him a trident, describing its prowess thus: "Lavana! Whoever wields this trident shall not be easily overcome in battle by any one." With the help of that trident, he has been terrorizing gods and men, demons and serpents and parading his powers over the entire land. He was pursuing all living beings and ill-treating them. No living being was left unconquered by him. Hearing this from Vibhishana, Rama gave vent to a peal of laughter. Of course, there was nothing He did not know. But, since he was wearing a human vesture, he had to act as if he did not. He had given him the trident in the form of Siva and he laughed at the stupidity of the recipient and the evil use to which he was putting it. He blessed Satrughna with a portion of his Divine Power and sent him on the mission of destroying Lavana, the Demon. Under Rama's orders, 3000 war-drums beat in unison, and the dhan-dhan shook the earth. Horses and elephants cried out in joy, the soldiers blew conches and marched on the capital city of Lavana. Lavana heard their war-cries. He emerged from the fort with 64.000 soldiers. He roared like a lion, eager for the kill. He played several magic tricks to evade defeat and to confound to enemy. But, his army was shattered to pieces. The sons of Lavana who entered the battle were killed by the son of Satrughna, named Subahu. They reached the heaven reserved for heroes who die fighting. At last, Satrughna shot an arrow invoking the name of Rama and that arrow dealt a mortal wound on Lavana. He drew his last breath as a result and ended his vicious career. The gods acclaimed the victory with a chorus of Jais and they showered blessings on Satrughna. Satrughna moved on with his army and came to the banks of the Yamuna. He prostrated before the holy river, and led his army further. While proceeding thus, venturing in the four directions along different routes and encountering different places, he happened to reach the hermitage of Valmiki. There, Janaki was living with her twin sons, each redoubtable in splendor like the Sun. Those two boys saw the Horse, read the golden plate tied around its brow and, led it away, to be bound and kept at the hermitage. Then, they came forward eager to fight back the guardians of the horse, with an arrow-case tied around their waists and bows and arrows in their hands. By that time, the warriors accompanying the Horse reached the place. They saw the Horse tied to a tree and finding that it was done by those boys, they cooled down. They said, "Sons! Your parents are indeed blessed to have such charming children. Well. Let that horse loose, and go home". But, the little boys replied, "O ye heroes! You have come for battle and not for begging, we believe. When you beg the horse from us, you are tarnishing the fair name of Kshatriya." Hearing this, the guardian soldiers said, "Brave boys! Yes. Do not tarnish the fair name of the Kshatriyas. That is why we ask you to be careful in speech." The boys only laughed at this repartee. They said, "Ah, how brave must be the person who sent this horse under the protection of people like you? If you have no strength to take it from us, you can proceed home." When the boys, Kusa and Lava, spoke so sharply and sarcastically the soldiers were provoked to fall upon them in spite of the fact that they were but tender boys. Lava shot a succession of arrows at them, quite in a sportive manner, humming tunes within himself and rather carelessly as if engaged in a play. The bodies of the warriors were shot through in so many places that they were rendered meshy. They fell fainting on the ground; some of them ran into the camp of Satrughna. They cried, "Maharaja! Two boys, evidently children of the hermits, have captured our Horse and in the fight that ensued, they have killed a large number of our soldiers". Satrughna was enraged at this effrontery; he gathered the four sections of his army and marched towards Kusa and Lava. When he confronted them, and saw their handiwork, on the field, proving their overwhelming prowess, he was shocked into shame. "How can I enter into battle with these two boys? ", he hesitated. Satrughna addressed them thus: "O Ye Children of hermits: Let loose the Horse and go home. You are worthy of worship; it is not right to wage battle with you." The boys would not yield. They said, "King! What is your name? From which City are you coming? Why are you moving through this forest at the head of an army? What is the reason for your letting this Horse wander about as it likes? Why have you tied this gold plate round its brow? Well if you have the strength and the courage, remove the plate from its brow, loosen the Horse and take it home." When Lava and Kusa spoke straight and sharp like this Satrughna bowed his head in shame and ordered his men to take up arms and march forward. At this, the boys laughed among themselves. "Aha! This King is pretty powerful! But, listen. Can a lion be frightened when you clap your hands?" They took up the bow and arrow, remembering their Guru, the sage, Valmiki. Their arrows shattered the chariot of Satrughna to pieces. They also entered his body in many places and made it a patchwork of holes. His veteran warriors fainted and fell. They called each veteran forward and shot arrows at them with fatal effect. Soon, Rama was informed of the exploits of the two boys from the hermitage. Of course, he knew that they were not children of the hermitage. But, he did not disclose that fact. He made them believe that what they said was true. He doubted for a moment how anyone could battle against the tender boys belonging to the monks. At last, he said, "Fighting cannot be avoided. Take Lakshmana with you and proceed." Those who had fled to Rama had to return perforce to the same place. Rama also commanded: "Bring those two boys hither. Since they are from the hermitage, they do not deserve death in any case." Lakshmana marched forward at the head of a fully equipped army. He reached the place where the engagement had already taken place. He saw the heroic warriors who had fainted and fallen. He was surprised at the audacity of the ascetic boys. He addressed them thus: "Boys, I warn you, save yourselves. Flee from this place back to your homes. You are Brahmin boys and it would be harmful for us if we fight against you. It is against the injunctions of scripture. Get away from before my eyes." Kusa and Lava greeted these words with a peal of laughter. "O brave Commander! See how your brother has fared; take refuge in your own home soon". 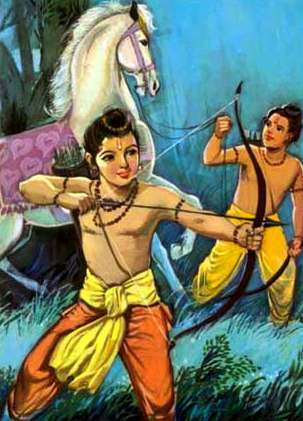 Lakshmana heard them and with one look at Satrughna who had fallen in a faint, he took up his bow and arrow. But, he doubted whether fighting against the children of monks was right or not. He tried to persuade the boys themselves. "Boys, he said, you have no reasoning faculty. You are mere boys. There is no profit in fighting against you. Go, bring those who are supporting you in this adventure." Even while Lakshmana was importuning thus, Kusa, without paying the least attention to his suggestion, shot an arrow right against him. The earth shook in terror at the impact of that arrow. That arrow spread all over the sky. Its splendor was such that even the sun was rendered dim. Unable to withstand the valour of Kusa and Lava, Lakshmana grew in anger and fell on them with enormous violence. He placed his chariot before them and began attacking them with no dread of the consequences. The brothers broke his arrows into pieces; they fought most admirably, with many new stratagems. Lakshmana threw his mace at them and when it hit Kusa, he suffered great pain. He rolled on the ground. Seeing this, Lava got enraged; he aimed an arrow at the chest of Lakshmana. Though it hit him straight, being a stronger and older hero, he did not fall. Lava jumped on him and they both had a personal duel with fists. The contest was balanced with no one winning; both of them used many holds and evasive tactics. Each of them fought using all his strength. Lava pounded Lakshmana with his thunderbolt hits. Lakshmana bore the brunt with pain and appreciated the little fellow's mettle and skill. Meanwhile, Lakshmana took Rama's name and aimed an arrow at Kusa. Kusa who had raised himself up fainted and fell again. He remembered Valmiki and Sita as he fell and so he could stand up soon. He recovered his bow and arrow and attacked Lakshmana. Though Lakshmana replied with an arrow that he had used against Meghanada, it could not harm the boys. The boy cut it into pieces, and the pieces fell on the ground. Lakshmana said to himself, "Ah. These calamities are happening to me since Sita was exiled. I can never have peace unless I discard this body". Just then Kusa fixed on his bow the Brahma arrow that Valmiki had taught him to use. At the very prospect of its release, the three worlds shook in fear. He aimed it straight at the heart of Lakshmana and let it go. Lakshmana was hit and he lost consciousness. Messengers carried the news to Rama. Bharatha was sunk in sorrow; he folded his hands and stood before Rama. "Lord!, he said, we are experiencing the consequences of the wrong we committed when we exiled Sita." Rama told the brother: "What! Are you adopting this tactics, because you are afraid of fighting in battle? Well, if that is so, I myself can go into the field. Get me the chariot. Adjourn further rites in the yaga; I shall go and find out the antecedents of those boys. Brother! Send word to our former allies and friends. Bring Hanuman to the battlefield". Then, Rama reached the spot where the fighting was going on. Rama was surprised to see the streams of blood. At that very moment, Kusa and Lava, the unbeatable warriors, also came to the place. The Vanaras who accompanied Hanuman to the field were stricken with terror. But, Hanuman addressed the brothers and said: "Boys! The parents who have given birth to such magnificent heroes as you are, are really blessed". But, Kusa declared, "O Monkey! If you have no strength to meet us in battle, go back! Don't prate". At this, Bharatha developed much anger; He shouted to his men, "Well! Use your weapons!" When he said so, the Vanaras cast upon them trees, rocks and mountain peaks. Lava pulverized all of them by means of a single arrow. In a short time the forces of Rama were in complete rout. The field was one full flood of blood. All the valiant soldiers lost their lives. At last, even Bharatha fell fainting. Then, Rama came into the battle area, red with anger, at the head of a large army; he saw the two boys and without letting arrows against them, he got them near him and asked, "Boys! Who are your parents? Where are they living? Which is your native land? What are your names?". In reply, Lava said, "O King! Of what use are these inquiries? You brothers, all four of you, have the same mannerism, I believe. Come, take up bow and arrow, and fight. Why do you bother about parents and native place; this is no parley, preliminary to marriage negotiations. No, this is serious business". But, Rama insisted on continuing. He said, "Boys, your bodies are so tender. I shall not fight with you until I know your names and your lineage." "King. Our mother is the daughter of Emperor Janaka. Janaki is being fostered by the sage Valmiki. We do not know the name of our father nor do we know the lineage to which we belong. Our names are Kusa and Lava. We reside in the forest", they said. Rama pretended to have discovered just then that they were his children, and told them, "Boys! Give fight to the army which is coming behind me". Saying this, he raised up Angada, Jambavantha, Hanuman and others from the fainting fit into which they had fallen. He also raised Lakshmana, Bharatha and Satrughna so that they might see the happenings of the future. Then, he addressed the soldiers. "Men of the army. Fight, so that fame and status might be protected and strengthened". Then, when the battle was renewed Rama watched with immense delight the heroism of the boys with their bows and arrows, and their superior skill and bravery. The Vanara heroes failed to find any means to overpower the boys; so, they spoke to one another that no one in the fourteen worlds could gain victory over them. They could not say or do anything more. They had to keep silent. Just then Kusa fell upon Rama. The impact forced Rama to faint and fall. Kusa pulled down the decorative ropes and chains on the chariot and the horses of Rama and both brothers bound Hanuman with them. They led Hanuman at the end of the rope and took him home. They also took other Vanaras and a few bears, all with bright coloured clothes and decorations on them. And, the sacrificial Horse was among the possessions they paraded. With these, they approached the mother, Janaki. They prostrated before her and offered the booty acquired as homage to her.